Clad in navy coveralls and hard hats, the artists install street signs and hold memory-sharing gatherings commemorating fragments of the city's past. 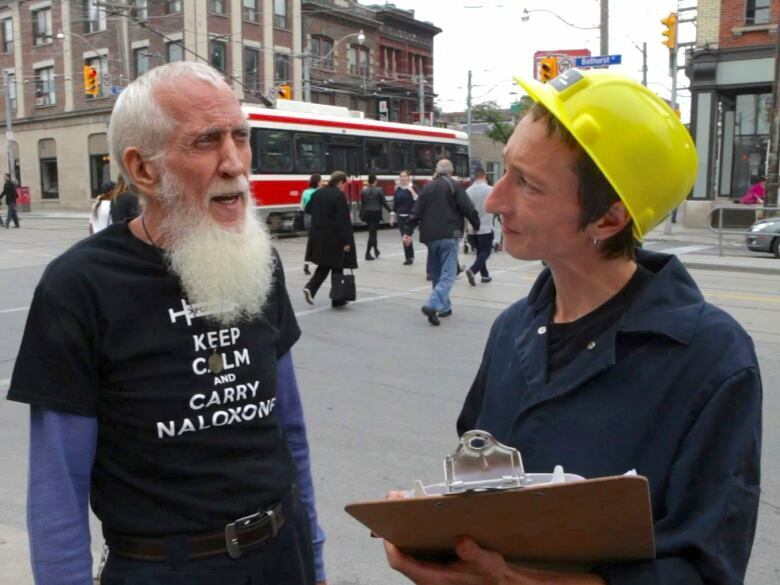 Toronto's Department of Public Memory isn't your average municipal works department — in fact, it isn't a municipal department at all. It's an art collective that formed to pose answers to one question: what does the city forget? This is the driving inquiry behind the work of Maggie Hutcheson and Elinor Whidden, the two artists who make up Department of Public Memory. 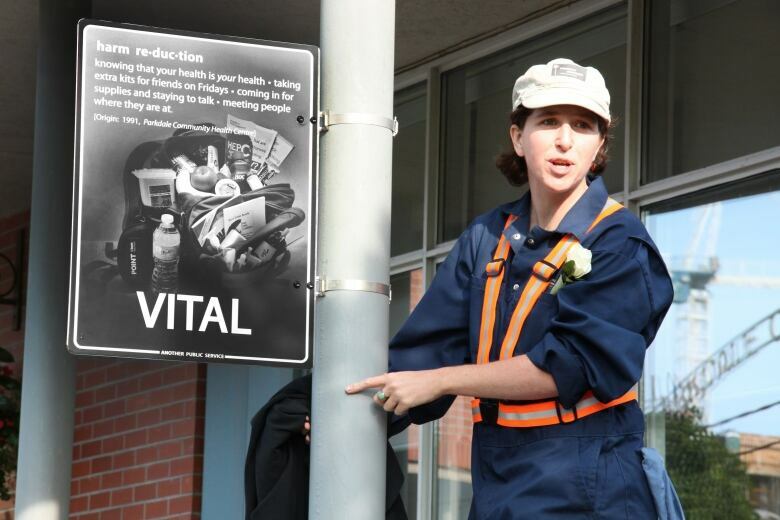 Hutcheson and Whidden blur the line between performance and public service: clad in navy coveralls and hard hats, they erect street signs and hold memory-sharing gatherings across Toronto which commemorate fragments of the city's past, like a successful strike organized by immigrant women working at Queen's Park in 1975, or harm reduction efforts at Parkdale Community Health Centre, or the volunteer labour that sustains Dufferin Grove Park, or a drop-in lunch program in Scarborough. Often, these fragments have been buried for years. The Department is dedicated to unearthing them, which is no easy task — their tagline quips, "We're a tiny department with a huge job to do." Hutcheson and Whidden created the project in 2011 as a response to cuts that were proposed by the municipal government. "A lot of community programs were going to be cut," explains Hutcheson, so she and Whidden set out to "highlight why these programs matter so much to making this city inclusive." She continues: "We're interested in what makes a city inclusive and livable, and the hidden labour that has made the city as inclusive and livable as it is." They explain that their "maintenance aesthetic" came from a desire to honour the work put into fighting for progress and livability in the city. This includes acknowledging the labour that created some of our most fundamental institutions. "Who fought for daycare? How did it come to exist?" poses Whidden. 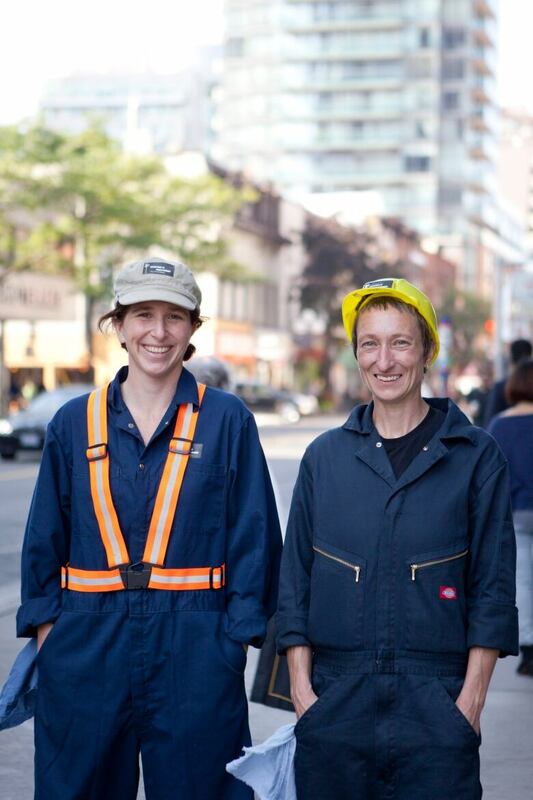 "We thought about this idea of maintenance workers as honouring the labour that's unsung about how all of these amazing social infrastructures came to be built." The playful but respectful nature of the aesthetic matches the duo's name, which Hutcheson says began as a critique. It started with a series of questions: "Why don't we have a Department of Public Memory? If we did, what would that look like? How do we address this social amnesia?" queries Hutcheson. "There are all these undercurrents that are maybe not thriving, but certainly surviving and persisting and doing amazing work, and somehow they're just not on the radar," adds Whidden. They began by reached out to programs that were threatened by funding cuts. They chuckle that it involved a lot of "cold calling" — but as their work developed, they began to field calls from folks concerned that their programs would be defunded. From there, Hutcheson and Whidden began researching. "There weren't any secondary sources, so we had to develop this whole process of speaking with people, doing oral history interviews, gathering memories," explains Hutcheson, who describes their research as "crowd-sourced." "It's all about going and learning from people who know these programs well, from staff to volunteers to activists who fought for the programs to people who access them daily. We bring all of that knowledge together." Hutcheson and Whidden distill these research processes into multimedia presentations, including many double-sided street signs that they install near a location which corresponds with the stories investigated. One side typically consists of an associated image, along with keywords that relate to the history of the subject. The reverse is often dedicated to a key quote from one of their sources, or a short text that captures the story and spirit relayed by firsthand accounts. 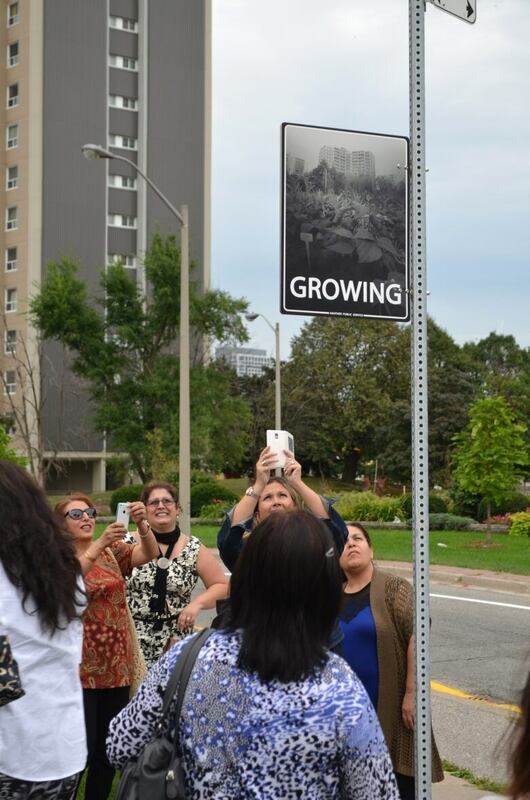 Department of Public Memory hosts "unveiling" events for these signs, where they encourage residents and community members to share memories and learn together. "Some of the most powerful sharing and informing has happened at live events where we unveil a sign, and the people whose histories these are get to tell an audience about their organizing and the work they've done," says Hutcheson with a smile. "That's really inspirational." Whidden notes that the street signs — somewhat cryptic and curiosity-inducing — are intended to "spark dialogue" and mark spots where citizens are encouraged to "think about all the intersections in their community, where these kinds of social issues are kind of bubbling and not on display." While there are hundreds of noted historical sites in the city, Hutcheson explains that the street signs highlight voices that are excluded or erased from public memory. "In some ways, this is a response to typical heritage plaques which often just commemorate buildings, or they commemorate wealthy people or people who held powerful positions in society," she says. The Department has catalogued all of their research in their Memory Archives, which folks can access both online and in person via an immersive interactive experience. Hutcheson and Whidden call this "working a shift" in the archives, where individuals will don a uniform, read first-person accounts and examine artifacts associated with each story. "Traces Of Care," an exhibition including pieces of this archive — as well as a few choice uniform options — is on display in the City of Toronto Archives until January 2019. As changes in the city quicken, Hutcheson and Whidden feel their work is more critical than ever. "2011 felt, in some ways, like this moment does now, where it [feels] really urgent and rapid," says Hutcheson. "We are in a moment right now where this work is more relevant than we'd like it to be." Whidden adds, "If we remember our past, it can inform us and inspire us for the future." 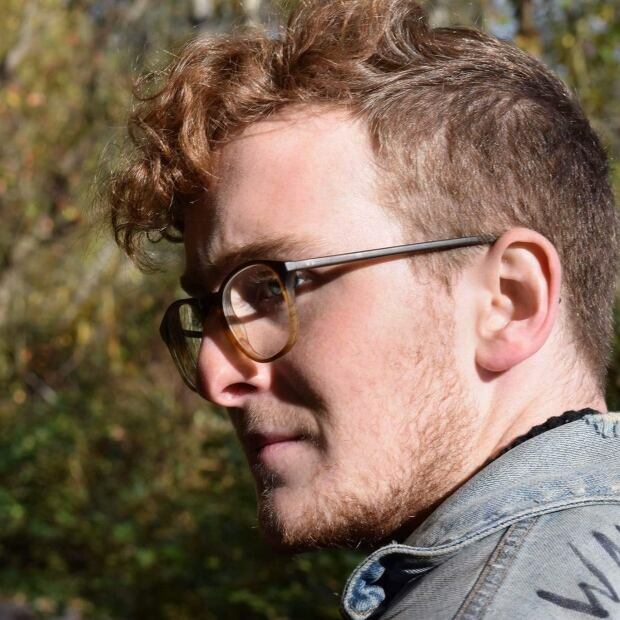 Luke Ottenhof is a freelance writer based in Toronto.